Taller plants are to be expected. The mother Kahuna Bud produced large sticky sweet flowers. The plant held the flowers up without support in an indoor garden. 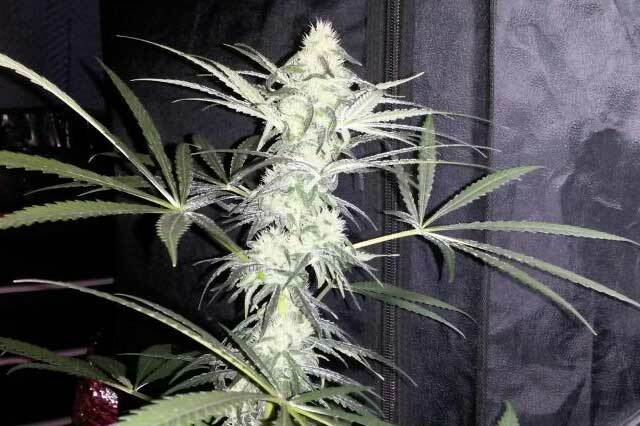 This female was pollinated with three Mr. Greengenes Cherry Bomb 1979 Maui­Wowie IBL males. 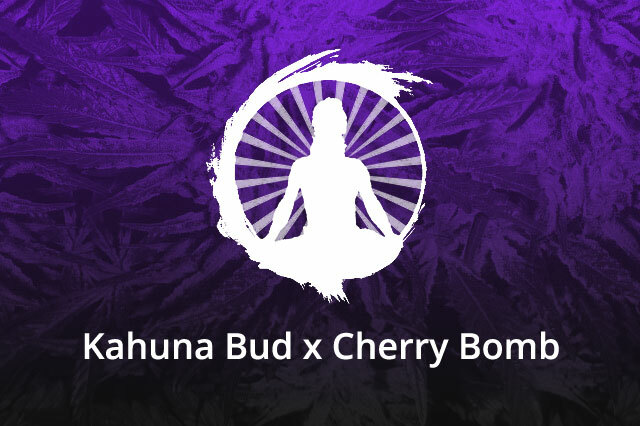 Originally acquired from a collector on the Islands, the Kahuna Bud Hawaiian are from family heirloom lines that were not to be reproduced and released in pure form, yet utilizing them to make hybrids is the exception. The Kahuna Bud mothers were extremely resin caked and very sweet. Plants purpled up in the cold and were very strong supporting themselves through flower developing large dense frosty flowers. Crossed to 3 Mr Greengenes Cherry Bomb males. This is a one of a kind, unique Hawaiian heirloom hybrid considering the combination of the 30 year Maui Wowie IBL and the Hawaiian family heirloom Kahuna Bud. These are F1’s.